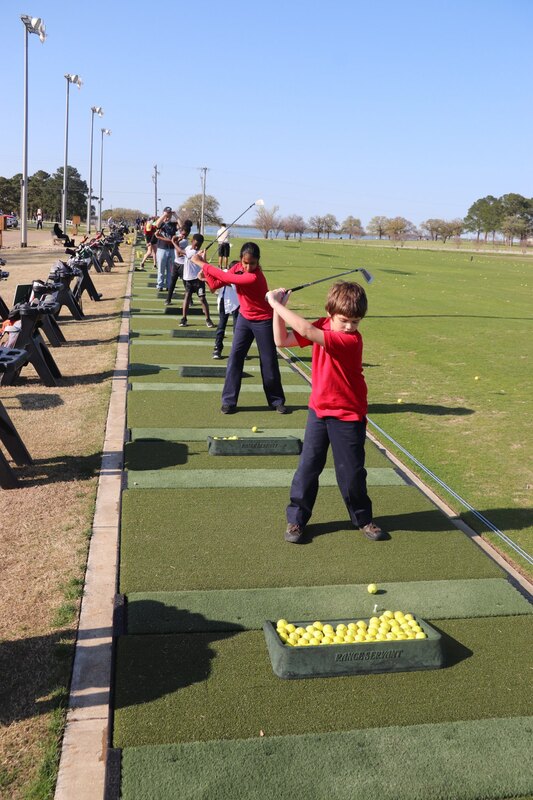 WE BELIEVE THAT LEARNING GOLF SHOULD BE FUN. 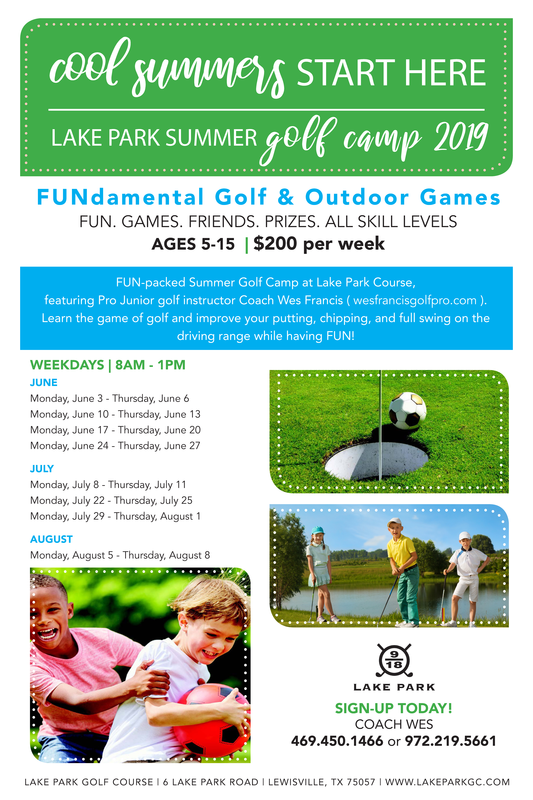 OUR GOAL AT LAKE PARK GC IS TO PROVIDE A SAFE AND FUN ENVIRONMENT FOR CAMPERS TO LEARN AND IMPROVE THEIR SKILLS AT EVERY LEVEL. CAMPERS ARE DIVIDED BY AGE AND SKILL LEVEL. FRIEND REQUESTS ARE CERTAINLY ACCOMMODATED. THE PROFESSIONAL STAFF WILL MAKE SURE BEGINNERS AS WELL AS EXPERIENCED PLAYERS ARE GIVEN APPROPRIATE ATTENTION. LIFE LONG SKILLS AND RESPECT FOR THE GAME OF GOLF ARE THE GOALS. GOLF IS INSTRUCTED IN STATIONS: SHORT GAME, CHIPPING AND PUTTING, FULL SWING, COURSE ETIQUETTE, AND COURSE PLAY WHEN SKILLS INDICATE READINESS. OUR STAFF WILL STRIVE TO KNOW EACH CAMPER AND THEIR SKILL LEVEL EACH WEEK. RAIN AND HIGH TEMPERATURES DO NOT CANCEL OUR CAMP. INDOOR ACTIVITIES ARE PROVIDED.